The electric motor is one of the most important inventions since the discovery of electricity. It is at the heart of the majority of our modern electric equipment. The applications are vast, ranging from domestic appliances, such as air conditioners that keep you cool in the hot summer months, to industrial uses like pumps that irrigate large corn farms. This article focuses on the latter, which is the industrial type electric motor. 1. What is an Electric Motor? The electric motor is one of the most important inventions since the discovery of electricity. It is at the heart of the majority of our modern electric equipment. The applications are vast, ranging from domestic appliances,such as air conditioners that keep you cool in the hot summer months, to industrial uses like pumps that irrigate large corn farms. This article focuses on the latter, which is the industrial type electric motor. 2. How Does an Electric Motor Work? Electric motors are based on the basic principle of electromagnetics. The principle is that there is a force that is generated whenever a current of electricity passes through a magnetic field. An electric motor is built using looped wires that have current flowing through them. The wires are positioned in such a way that the current flows at right angles to a magnetic field within the motor body. Now, as you know, a magnetic field has two opposite poles. This creates two forces in opposite directions in the two ends of the wire, causing the wire loops to rotate. There are two basic types of electric motors and theses can be further broken down into different categories. The first design is the DC motor. This motor relies on direct current and can be found in home appliances and portable power tools. DC motors come with 6 basic parts which include the Axle, Rotor (which is also known as the Armature), Stator, Commutator, Filed Magnet, and Brushes. Some of the most widely used DC motors are built with a permanent magnet to provide the internal magnetic field. The Stator forms the fixed part of the motor and is composed of the motor Casing and at least two pieces of magnets with opposite poles. The Rotor is located inside the Stator. The Stator is attached to the Axle and Commutator, and these are the components that make the spinning parts of a DC motor. Basically, the Rotor comes with windings of conductive wire which connects to the Commutator. The second motor type uses AC voltage as its power source. AC motors operate differently from their DC counterparts although the base principals are the same. Instead of using direct current, AC motors use alternating current; the same type that flows from your wall socket. In terms of form, the AC motor has a Stator and Rotor as its basic parts. The Stator is composed of a steel or cast iron frame which has thin, slotted, laminations of aluminum. It is on these slots of aluminum that windings of conductive wire are formed, thereby forming electromagnets. The electromagnets are positioned in such a way that the poles of each individual electromagnet face the center. When current is supplied to the electromagnets, a magnetic field is produced.The electromagnets are activated in succession, building a rotating magnetic field. For example, Magnet #1 is activated, then Magnet #2, Magnet #3, Magnet #4, then back to Magnet #1. Inside this ring of magnets is a component called a Rotor. As with the DC motor, this is the part that rotates; hence the term ‘Rotor’. In most AC motors, the rotor is a cylinder composed of bars of aluminum tied at the ends with a rings of steel. This configuration forms something that looks like a squirrel cage. It is important to note the way in which the rotor electromagnets get their current. Unlike the electromagnets in the Stator which are fed with alternating current, the coils on the Rotor have no connection to any source of power. However, once the electromagnets on the stator are powered up, the resulting magnetic field induces a current within the bars in the squirrel cage of the rotor. For this reason, this type of motor is called an induction motor. The magnetic field induced in the Rotor is always opposite to that of the magnet field in the Stator causing the magnets in the Rotor to spin in the opposite direction. The Stator’s magnets are activated in a rotating manner, in succession, causing the Rotor to rotate. As previously noted, AC motors have electromagnets in their Stators that produce a rotating magnetic field. This is achieved through the use of a three phase alternating current. Motors that rely on this type of power supply are called three phase motors. To understand how this works, you first have to know how three phase alternating current works. The three phase system of a power supply is the most common method of power transmission used across the globe due to its efficiency. It is transmitted using four lines; three live lines and a neutral line. Each of the three live lines carries an alternating current resulting in an equal frequency, voltage, and amplitude in each of the lines. The key, however, lies in what are called the ‘phases’. While all the other aspects of the electricity flowing in the three wires are the same, there is a difference in ‘phase’. Alternating current reverses direction 50 times in one second. However, the reversal does not happen abruptly. The voltage in each wires starts at zero and gradually rises to its positive peak before gradually dropping to zero again. It then starts to rise in the other direction (the negative direction) and gradually goes to a peak before it drops again. In a three-phase alternating current, there is a difference in voltage at any given time in the three wires. For example, imagine a 3 phase line of 60 volts. If in line #1 the voltage at any particular time is 0, it will be 30 volts in line #2, and 60 volts in line #3. In the next phase, if it is 30 volts in line #1, it will be 60 volts in line #2, and 0 in line #3, etc. It is this difference in phases that allows the electromagnets housed within the Stator to produce a rotating magnetic field. The single phase AC motor is powered by one line as opposed to three in the 3-phase type. Like the 3-phase motor, it comes with two main parts; a Stator and a Rotor. The Stator is built with an outer casing and two pairs of wire windings. One pair is called the primary winding and the other is the auxiliary winding. The single phase Rotor is identical to the Rotor found in a 3-phase motor. It has bars of aluminum that are bound at the ends by an iron ring. When an alternating current is introduced in the primary winding of the Stator, a magnetic field is produced. Because AC reverses its direction about 50 times per second, the resulting magnetic field also reverses its poles at a rate of 50 times per second. The magnetic field in the Stator induces a similar alternating current in the Rotor. Instead of moving in one direction, the Rotor simply vibrates until it is pushed in one direction. This type of motor is called a non-self-starting motor because it cannot start until there is an external force to move the Rotor in one direction. How do you provide the initial rotation to start a single phase AC motor? This is where the auxiliary windings come in to play producing two opposite magnetic fields. With the use of a Capacitor installed on one auxiliary ring, the resulting magnetic field is weaker in one direction and stronger in the opposite. This prevents the forces from cancelling each other out and allows the rotor to spin instead of stalling. Once the rotor has reached a certain speed, the auxiliary rings can be disconnected using a centrifugal switch. A synchronous motor is useful in situations where a constant speed of rotation is necessary regardless of the load. It works much like a three phase induction motor but instead of the Rotor working by induced current, it is fed a current of its own. Synchronous motors have the same basic parts as the 3 phase induction motor; a Stator and a Rotor. The Stator is fed a three-phase current to produce a rotating magnetic force in its ring of coils. Inside the Stator is the Rotor. The Rotor is built with coils that are fed direct current to produce a magnetic field. In short, the Stator has a rotating magnetic field while the Rotor has a static one. If the Rotor is rotated, the North poles of its rings lock with the South poles of the rings of the Stator, allowing it to rotate at synchronous speed with the Stator. Therefore, you can control the speed of the motor by adjusting the 3 phase current you are feeding the Stator’s electromagnets. Synchronous motors are not self-starting. If there is no initial push, the motor will simply stall. So how do you get the motor to start its rotation? This is accomplished by using the same methods employed in induction motors. A squirrel cage of aluminum bars is fitted in between the spaces of the Rotor’s coils. Initially, the DC is switched off in the Rotor allowing current from the Stator to be induced in the bars of the squirrel cage and therefore a rotational force is produced just like in an induction motor. Once the Rotor has reached the required speed, the direct current is introduced in the Rotor’s electromagnets which then lock poles with those of the Stator. This action allows the Rotor to move synchronously with the AC cycles. As long the load on the motor is within limits, it will continue to rotate at constant speed. This is important for precision applications. Once the motor is overloaded, it falls out of sync and essentially comes to a halt. Instead of relying on DC power to provide electromotive force in the Rotor, sometimes permanent magnets are used. These magnets come with a high-torque-to-weight-ratio and can be regulated much faster than other types of motors. A motor is not 100 percent efficient that means not all the electrical energy is converted into rotational energy. There is some heat produced as well, and this can be a problem. This is why heavy duty motors are built with fans to blow away some of this heat. When the application or environment gets too demanding for ordinary motors, a severe duty motor may be the best alternative. Severe duty motors are designed to meet the punishment of industrial environments where ordinary motors would fail. Not all severe duty motors are built the same. There are general purpose severe duty motors, as well as specific purpose machines. If the environment in which you will be using a motor is prone to contamination, dust, vibration, moisture or long running hours; a severe duty motor should fill the need! Both the materials used and the severe duty motors’ design make this type of unit the right beast for such demands. How do Severe Duty Motors Differ? Severe duty motors are generally tougher and heavier. Whereby aluminum or steel is used on ordinary motors, cast iron is employed to build the severe duty motor. The seals on the drive, as well as the shafts, are also much better. To prevent any foreign substances from getting inside, the motors are built with a completely sealed cast iron body. How Can a Severe Duty Motor Save You Money? While severe duty motors demand that you shell out extra money, they may be worth the investment if the working conditions are particularly demanding. These units are rugged and are built to take the harshest punishment. This means they will be running continuously without the need for constant repair, part replacements, or entire motor replacements. Motor failure costs additional monies in the form of repairs and replacement and downtime is costly! • Where will the Motor be Located? If the motor is located in an outside location it will be prone to weather elements such as humidity and dust which will speed-up the wear of internal parts. Such locations demand a severe duty motor. • Will the Motor Be Exposed to Harmful Solid Particles? The nature of the job the motor will be subjected to may expose it to particles like sawdust, ash, etc., and have a way of wearing down the motor’s internal components quickly. A severe duty motor may be a good alternative. Sometimes, harmful vibrations can cause falling objects to damage a motor. Severe duty motors are built to handle even these extreme conditions. Heavy-duty construction can offset these ‘unusual’ working conditions. If you are using a variety of different motors, consider those that fail often. Investigate why they are always in need of repair or replacement. The reason is likely that the working conditions do not correspond with the specifications of the motor. If you employ critical motors that could cripple your operation should they fail, purchasing a severe duty motor to fill such duties may be your best alternative. I Severe duty motors offer consistent performance no matter what the situation. There are many types of severe duty motors designed for specific purposes. IEEE 841 Motors: These motors are built to power a wide range of machinery in different environments. They are usually utilized in the petroleum, chemical, and mining industries. They are also used in pulp and paper production. They are induction motors that are meant to satisfy, and even exceed, the IEEE 841 requirements. 661XL Motors: If you are in the petroleum and chemical processing industries and need a motor that will handle belt driven, air-cooled heat exchanger applications, then the 661XL Motor is for you! It is a severe duty motor that is built to deliver premium efficiency even when tasked with the taxing jobs the petroleum industry dishes out. The motors come with a completely sealed cast iron outer body that prevents any foreign substances from getting inside. These motors also come with low vibration capabilities; a characteristic that allows an extended life span. Quarry Duty Motors: If you have ever been in the quarry industry, then you know just how tough a machine has to be to withstand the damaging substances in the air. Quarry duty motors are built specifically for this purpose. They are equipped with the strength of a bull to handle the loads of conveyor belts in the cement, aggregate, and mining industries. Apart from conveyor belts, quarry duty motors can also be used in gear reducers. Crusher Duty Motors: What you need when dealing with belt driven rock crushers is not just a strong motor but one that also has a very high-starting-torque. These are exactly the features you will find in a crusher duty motor. Crusher duty motors have a sealed-off, fan-cooled, cast iron body that allows this motor to keep running even when subjected to extreme loads for prolonged hours. Crusher duty motors can stave off corrosive damage with its epoxy finish. Oil-Well Pump Motors: Equipment such as Beam Pumping units, Punch Presses and such, need a motor with a high torque and high slip ratio. Oil Well Pump motors are built with heavy-duty materials and are designed specifically for this purpose. Dirty Duty Motors: Wet and wash-down working conditions, corrosive environments, and marine jobs pose a special threat to ordinary motors. Dirty Duty motors have evolved to handle such tortuous conditions. For example, Dirty Duty motors have stainless steel shaft extensions to withstand weather damage. RPM XE eXtreme Efficient Motors: What comes to mind when you think about severe duty motors? Obviously, high energy consumption is one, and this does not bode well with the energy saving agenda currently facing our industry. RPM XE eXtreme Motors deliver high performance while expending much less energy. Ever since motors have been employed in chicken processing plants or, for that matter, any application that might involve high pressure liquids, they’ve encounter frequent downtime. Of course, Operators do all they can to prevent water from getting into the motor and preventing condensation from forming in the unit. Several design techniques have been developed over the years such as sealers and caulking to keep liquids out of the internal workings of the motor. But even these advances couldn't cut the mustard! Often times, condensation would form inside the motor causing either corrosion of the inner workings of the motor or would simply short the windings. In an effort to overcome these environmental conditions, engineers came up with a solution based on the idea that motors required both internal and external protection. Some motors failed simply because the bearings were exposed to water. The formation of rust was another problem. Rust would form, then flake off within the motor, and bloke condensate outlet holes limiting the life span of the motor. There are several methods that the manufacturers of Wash Down motors use to keep the internal parts of the motor protected from liquids. Special attention is paid to the Stator’s windings, the assembly of the Stator, as well as, the Rotor and Shaft. Special high-quality windings have been introduced to withstand the effects of internal moisture. Further, the Stator windings are basically fitted into the band of the frame, after which, all the internal components are specially treated to make their surfaces moisture resistant. Even before all the components are inserted, the frame itself is coated both internally and externally. To make sure the coating is both thoroughly applied and well-bonded to the surface, it is applied electronically and then baked at a high temperature. The only parts of the frame that have no coating are those that are bored or machined to receive other components of the assembly. The Shaft and the Rotor are also prone to moisture exposure and are therefore treated, as well. To enhance resistance to water damage, the Shaft may be built out of stainless steel. Gaskets are used to prevent high-pressure liquids from entering the motors cavity. Once a Washdown motor is assembled, rivets and screw heads are sealed with sealant. Even the point where the Shaft protrudes out of the end plate is sealed. The Shaft has slingers that are placed on the lip seal to sling water away before reaching the seal. Since the bearings inside a Washdown motor are sealed they can prevent early bearing failure. Bearings need to be lubricated with grease or oil. However, where Washdown duty motors are concerned, no ‘ordinary’ grease will do! A special moisture-resistant grease is used to prevent liquids from getting to the surfaces and an effective way to prevent rust from forming on the bearing’s surfaces. Once the whole motor is assembled, it is coated with white epoxy to provide an extra layer of sealing. This extra layer of sealant also gives the motor a smooth finish; an important characteristic that prevents food and other matter from sticking to the motor. Motors usually have ‘fins’; but not Washdown motors. The ‘fins’ would normally trap the dirt, making it hard to clean the motor’s Casings. For this reason, Washdown motors come with band-frames. Avoiding condensation build-up is of paramount importance if the unit is to perform at its peak efficiency. There are some motors that are airtight and self-contained or have cavities that connect to external controlled environments. Although this is an effective approach to keeping moisture out, such motors are expensive to build and are generally used for high-vacuum processes. Washdown motors are not airtight. They come with devices that allow them to drain the condensation. It is therefore important to always orient Washdown motors in such a way that water can drain easily by gravity alone. There are now stricter regulations concerning the use of paint chips. The problem is that chipped parts of coated motor casings provide fertile ground for bacteria. No matter how well the paint is applied, falling objects, collisions and such mechanical stresses can still damage the paint. To navigate around the problem, stainless steel is favored. Fan cover, conduit boxes and other parts are also built from stainless steel. Other material can work just as well so long as they do not allow bacteria to flow freely. In some motors, a unique aluminum alloy is used to make the endplates, and a special surface-finish is applied that eliminates the need for further coating. White Washdown Motors: These motors are intended for the multi-shift food and pharmaceutical industries. These motors are meant to be reliable, and cost savings, in terms of energy efficiency. One characteristic of Washdown duty motors is the ease of cleaning. White Washdown motors are manufactured with a smooth surface and easy-to-maintain drains. Feather Pickup Motors: The poultry industry has some pretty taxing working conditions. It is wet, there is a need for high pressure applications, and there is lots of dirt flying around! Washdown feather pickup motors have both the power to handle extreme loads and the durability to run continuously for many hours. Balder motors are interchangeable with most poultry processing equipment. Washdown Duty Brake Motors: Washdown duty brake motors are designed to do what ordinary brake motors do but in the demanding washdown environments that would damage a normal one. That means they can tolerate high pressure liquids without causing any harm to their windings or contacts. Vector Washdown Duty Motors: Vector motors are AC induction motors that can be operated with high dynamic performance, much like a DC motor. But if this motor is to be run in environments that have high pressure fluids, a Vector Washdown duty motor must be used. Washdown Duty Inverter Motor: An inverter drive Washdown duty motor allows you all the functions of a normal Inverter Drive motor but with the ability to be used in a Washdown location. Washdown duty motors designed by Baldor come with adjustable speed and very accurate positioning. Closed-Coupled Pump Motors: Applications requiring high-pressure wash-down might utilize a Closed-Coupled Washdown Pump motor. These units can be used in food processing or industrial pump applications. 56J Jet Pump Motors: The food and beverage industry requires regularly scheduled high-pressure cleaning of equipment. This particular requirement means that in most cases, standard motors won't meet the application’s specifications. If the environment is constantly humid and wet, a standard Washdown Duty motor might not suffice. The 56J Jet Pump Motor meets these exact specifications. End-Plates are made of stainless steel. Paint Free Motors: Motors are painted for a variety of different reasons. The most important reason to paint the exterior of a motor is to protect the casing from rust formation. However, if you are using high-pressure ‘abrasive’ cleaning fluids that might eat away the motor’s paint, then a paint-free Washdown motor is your best choice. If you are dealing with environments that have explosive gases and vapors, finding a suitable motor can be quite a difficult task. The National Electrical Code (NEC) has defined hazardous locations as those ‘having vapor or dust that is likely to ignite.’ These locations need specially designed motors to ensure that whatever fault might develop within the motor will not lead to the ignition of the vapor or dust in the air around it. Explosion-Proof motors are meant for class I locations. Class I locations are places that have flammable gases present in the environment as part of everyday operations. They are not meant for accidental leakages of ignitable material. The location becomes a class II location if the flammable gas results from a damaged pipe or some other unusual circumstance. What Makes Explosion-Proof Motors Special? While ordinary motors operating in hazardous locations might explode in cases where there is an internal ignition, Explosion-Proof motors will limit the explosion within its casing. Once the air pressure has built up inside after ignition, the burning air is forced through tight passageways where it is channeled to the outside. By the time the hot air has escaped the motor, its temperature is significantly lowered below the minimum ignition temperature (MIT) of the atmosphere around the motor. Motors that are designed to be explosion-proof have a label that indicates whether it is a class I or class II motor. However, some units have been built to be operated in both classes of environments. The class of each motor shows the physical nature of the flammable material within the motors location. Explosive gases, liquids, and vapors fall under class I. One example of a class I ignitable substance is gasoline vapor. Combustible dust falls under Class II locations. The class II specification also addresses dust particles that may conduct electricity or possibly explode when there is a sufficient amount of dust particles in the air. One of the best examples of hazardous Class II dust is wheat flour. When the flour is compacted, it tends to burn or smolder, slowly. However, when it is evenly distributed in the air, it can explode all at once. Magnesium and aluminum particles burn violently. This becomes worse when they are spread evenly in the air where they can cause an explosion. Class III encompasses flammable fibers. It is not always necessary to have an explosion-proof motor for such locations because class III materials are too heavy to be airborne. However, when they gather near electrical equipment, there is a risk of ignition. Some of the material that fall under Class III include cotton, cocoa, saw dust, hemp, and Spanish moss. Explosion Proof General Purpose Motors: If you need a motor that can be used for multiple uses in dangerous environments then you should get an explosion proof general purpose motor. It comes with a robust frame but has no special component that would limit it to one application. Such motors can be used in the chemical, oil and gas, or forest product industry. Explosion proof general purpose motors can be used in applications such as fans, conveyor belts, pumps, or gear reducers. Explosion Proof Severe Duty, 1.15 SF Motors: Having a motor that can withstand harsh environments is one thing. 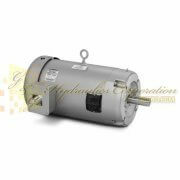 But if a particular job is both heavy duty and is done in a hazardous environment, you need a totally different motor. Explosion Proof Severe Duty, 1.15 SF Motors are built with a robustness that allows them to survive high moisture content in the atmosphere, long hours of operation, and exposure to contaminants. This particular motor also has the ability to keep any ignition of gases or vapors that occur inside from spreading to the outside. The Explosion Proof Severe Duty, 1.15 SF Motors can be used for severe duty fan, conveyor belt, or pump applications on hazardous environments. This particular type is designed for Class I, Group D, Class II, and Group EF and G locations. Drill Rig Duty, 1.15 SF Motors: The Drill Rig Duty, 1.15 SF Motors are meant to provide reliable performance for drill rig applications. They can be used in bulk fuel terminals and in locations where hydrogen sulfide would be a problem for ordinary motors. This motor comes with a Division 1 enclosure that allows it to prevent any ignitions that occur inside from spreading to the outside. The motor can handle atmospheres with high humidity without the threat of rust. It can be used for applications like pumps, fans, etc. Explosion Proof Pump Motors: These pump motors are meant for the chemical, oil and gas, forest products industry, etc. They can perform all the duties of a pump motor but have the special ability to restrict any ignitions within the motor. They are available for Class 1 and Class II locations. Explosion Proof Inverter Duty Motors: These motors come with variable speeds which is one of the characteristic of an Inverter Duty motor. This feature prevents any explosion that might occur within the motor from spreading to the outside atmosphere. Pump motors have a wide range of applications. They are used to get rid of industrial waste water, as well as, being used in fire-control systems. Pump motors can also be used in commercial pools and many other applications. Pump motors come in different designs such as, explosion proof, wash down, and severe duty. Most are designed with single speed, but multi-speed pump motors exist, as well. When dealing with a problematic pump motor, your first task is to check the condition of the motor’s circuitry. An Ohmmeter will be required for the operation allowing the Operator to test the resistance within the motor’s windings. First, check whether the motor is grounded. Set your Ohmmeter to the highest reading it can manage. Bring the leads together and adjust the reading of the Ohmmeter to zero. At this point, the wires that run from the control box of your pump to the ‘Water-Well’ have to be disconnected. You will see a red, black, yellow and green ground wire. Attach one lead of your Ohmmeter to one ground wire; for example, the green wire. Now connect the other leads of your Ohmmeter to the other wires, one at a time, and watch for any readings on your Ohmmeter. If you notice any readings, it means your motor has a grounding error within its windings. If there is no reading shown you do not have a grounding error. 56J Jet Pump Motors: These motors can be bought in open drip-proof form. They are also available in totally enclosed Casings made with industrial steel bands. There are different types of 56J Jet Pump Motors meant to be used for wash down duty, food processing, or for hazardous applications in the gas and oil industries. There are different types of Jet pumps. There are shallow Water-Well jet pumps that can extract water from no more than 25 feet deep. Deep Water-Well Jet pumps are capable of drawing water from as deep as 80-100 feet. This, of course, depends on the horsepower of the motor. JM, JP, and WCP Close Coupled Motors: These pumps are designed to be used in commercial pools, water treatment applications, and more. These, like the jet pumps, are available in open form or totally enclosed formats with cast iron frames. The totally enclosed type is suitable for harmful environments where ordinary motors would fail within a short period of time. Vertical P-Base Motors: The Vertical P-Base motor is meant to deliver the power needed for centrifugal pumps, sump pumps, turbine pumps, aerators, and fans. They are also great for mixers, cooling towers, and other applications of a similar nature. These motors are designed with different frame constructions and power values to be used in a variety of different applications. Vertical P-Base motors are safe from abrasive, corrosive or chemical attacks, as they are built from cast iron. These characteristics give the motor a prolonged service life. They can be used for fluid handling, water treatment, and waste water handling. Vertical P-Base motors are well suitable for agricultural irrigation applications. Submersible / Immersible Motors: There are two main types of Submersible / Immersible motors. These units are by definition wet and dry pit motors. Wet pit motors cannot run for more than 5 minutes out of water. Dry pit motors on the other hand can go on running in air or under water without any problems. These motors are built with cast iron frames and their shafts are built with stainless steel. These characteristics allow them to be used for slurry pumps, aerators, and mixers. They are best suited to the municipal and industrial wastewater industries. Fire Pump: These pumps are designed to service the fire suppression industry. Fire intensities vary and the designers of Fire Pump motors have responded by coming up with fire pump motors of different horsepower. Horsepower typically ranges from 10-100 horsepower for closed coupled types and 10-300 horsepower for the foot mounted type. The motors have been designed for clean and dry environments and are built with open drip- proof enclosures. The class F insulation system means they cannot be used in extreme temperature locations. These motors are quite versatile but it is not advisable to use them with variable frequency drives. What is an HVAC System and How Does It Work? The most important part of any HVAC system is the component that handles the air. It is a unit found inside the system and contains the Heater and Blower motors. There is an Intake Air Filter that may be affixed to the unit, although sometimes it is not directly connected. The Intake Air Filter is placed close-by and a duct is used to link it to the inside unit. When the system is running, a Blower motor is activated blowing out cold or hot air. The Blower simply blows out whatever air is in the air-handling unit. There are specially made components that can either cool or heat-up the air. To provide warm air, the air must first pass through Heat Coils or Burners that are found in the air handling unit just before the Blower. Electric HVAC systems use electric coils just like those found in an electric oven. Gas HVAC rely on a Burner that uses natural gas. A thermostat is used to turn on the Burner or the electric coils as per your settings. The same Thermostat also starts the Blower motor. To provide cold air, the process is a bit more complicated. First, the inside unit puts air conditioning refrigerant under pressure using a unit called a Compressor. Pressurization causes the refrigerant to heat up. The warm refrigerant is then forced through a Heat Exchanger, also referred to as a Condenser, that is found in the outside unit. This process cools down the air. Once the air has cooled, it is forced to pass through an orifice which causes it to cool even further. The cooled refrigerant is then sent to a coil that resemble the radiator of a car. This particular component is known as an Evaporator and is found in the air handling unit. The Blower then blows air through the Evaporator, and pumps out cold air into the surrounding environment. To most people, repairs on air conditioning units should be addressed by a technician. But that is quite often not the case. It is only such operations as removing or adding refrigerant that need the attention of a trained technician. Most other repairs can be handled by anyone with the proper tools and a little knowledge. The part of your HVAC unit that usually fails is the motor. The HVAC system comes with two motors. The Blower can be found in the air handling unit while the Fan motor is found in the Condenser located outside the unit. Should one or both of these motors fail, it will cripple the entire HVAC system. Before you replacing one or both of these motors, verify that it is actually the motor that needs attention. Sometimes, the problem lies with the Capacitors or with the Motor Start Relays. With a little knowledge about how the HVAC system operates, you can determine which of the two motors have failed. The Fan motor that is located in the Condenser unit is only associated with the cooling action of the system. Therefore, if the issue is with the heating, you can rule out the Fan motor. If you do not sense any air coming out of the registers, even when the unit is running, it means the Blower is the problem. In this case, both the cooling and heating mode will not be functional. If there is no cold air coming out of the system, even though you have put the HVAC unit in cooling mode, and air is coming out, it means the fault is with the Fan Motor that is found in the Condenser unit. Prior to repair or replacement, confirm that the thermostat is in good working condition and set appropriately. Although there are two motors inside the system, both of them operate the same way. This means you can approach both of them with the same troubleshooting techniques. First you need to locate the motors. You then have to remove any obstructions to expose the motors and check their condition. If they seem to be hot or have any indications of having overheated, the motor(s) must be removed and repaired or replaced. The motors are not the only components that could be the problem. Sometimes, it is the Motor Switch Assembly or Start Capacitor that may be the problem. Direct your attention to these components first as they are less expensive and can be replaced with ease. You can find both the Motor Switch Assembly and Start Capacitor under the cover panel. Upon removing the cover panel, see if there is any dust or dirt in the compartment. In many instances, this can short circuit the system. As strange as it may sound, ants could be the culprit, as well. Electronic devises produce Ozone and ants are fond of its smell! When ants get inside they have the potential of causing a short circuit. Correct this issue by removing the dead ants and thoroughly cleaning the area. If you cannot see any signs of overheating, your next move is to check the power flow to the motor. Turn off the power and connect a Multimeter at the contacts where the motor power wires are connected. Make sure the Multimeter is set to read AC voltage. Turn on the power and see if any voltage is registering. The next step involves discharging the Capacitors by shorting the leads. Turn the power off and use an insulated screw driver to connect the two leads. If you can see sparks after shorting the leads it means the Capacitors have discharged. Next, set the Multimeter to read ohms and test for a short-to-ground either in the motor or the start circuitry. If you record a reading of less than 10K ohms in the motor's resistance-to-ground, then there is something wrong. If you record too low of a reading, then the circuitry has a low resistance which means there is a short. 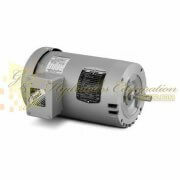 General Purpose HVAC Motors: These motors can be applied to a wide range of HVAC applications. Since these are for general purposes, they can be safely mounted in different positions. Balder manufactures heavy, gauge steel frames, and robust ball bearings. The motors are also designed with plugged grease passages. General purpose HVAC motors can be used for heating, air conditioning, Blower and Fan motors, as well as, general ventilation. Farm work requires motors that are not only powerful, but able to withstand the demands of outdoor conditions. Many farm processes can be quite taxing on the average motor. There is a great deal of exposure to water, and other liquids, dust particles and more. Farm duty motors are designed with high starting torque with reasonable starting current. Most farm duty motors come with V-ring Slingers on the drive, as well as, the opposite end. Another important feature of Farm Duty motors is the reversible shaft rotation. These many features make farm duty motors suitable for both indoor and outdoor use. They are quite safe to operate under most loads, as they come with a manual overload protection system. Most motors can be used for a wide range of purposes. But Definite Purpose motors are meant to work under specific conditions and perform specific tasks. These motors are available to a variety of different industries. For those applications that need massive power, large induction motors are the way to go! These units are not a specialty type motor. You can get many different motor types in much larger sizes producing greater power. Among the most common types are large Induction motors and large Synchronous motors. Large induction motors run on AC just like the standard type. They can be powerful units, pumping out as much as 30,000 horse power of rotational force. They are available as severe duty, wash down duty, and are also available in an explosion proof configuration for division 1 and 2 locations. When you need precision, Synchronous motors are well suited for the job. As with standard Synchronous motors that rotate at a constant speed, regardless of the load, within certain limitations, large Synchronous motors are able to rotate at a constant speed, but with extremely heavy load capabilities. Servo motors have a wide range of applications. They are normally small in size, but can be powerful tool that is highly energy efficient. Servo motors are useful in such industrial applications as robotics, food industry, and manufacturing. Apart from housing all the usual components of motors, Servo motors come with a servo circuit that includes a shaft whose position can be adjusted according to the commands of the user. The shaft comes with a gear that moves in response to an electric signal. The signal dictates how much the shaft will move. The workings of Servo motors depends on a few basic components. There is, first of all, the motor itself, a potentiometer, and a control circuit. The motor is fixed to the control wheel by means of gears. Whenever the motor spins, the resistance of the potentiometer also changes. In this manner, the control circuit can be used to precisely control both the degree of movement and direction of the shaft. By means of electrical pulses that are transmitted through a signal wire, you can move the shaft into any suitable position. Once the shaft is in its intended position, the power feeding the motor is cut. The disconnection is not abrupt. It is instead gradual depending on how far the shaft is from the required position. As the shaft starts to move, it does so with relatively high speed and slows down as it approaches the desired position and stops. The electrical pulses passing through the wire can be any of three types. There are minimum, maximum, and repetitive pulses. The duration of each pulse determines how far the shaft will turn. Normally, Servos can turn 90 degrees clockwise and counterclockwise, bringing the total to 180 degrees. Once a Servo has been commanded into position, it will maintain that position and resist any external force that may push it out of position. However, this is only for a limited time. If the Servo is to maintain its position, fresh pulses need to be sent on a continuum. Each Servo motor has a torque rating, meaning the amount of rotational force it can unleash. Servo motors come in two types. These are AC and DC. AC servos are the most popular when it comes to industrial applications as they can withstand high current surges. Gear motors are basically combinations of Electric and Gear motors. The motors can be of any type depending on the nature of the job, for example wash down duty, explosion proof, etc. Gear motors serve the purpose of reducing the speed while maintaining a high torque. It is usually wiser to get an integrated system instead of buying the motor and gears separately. Choosing the right motor will cut design time and costs. Gear motors are subjected to thorough testing to make sure they are error free. Consider speed, torque, energy efficiency and anticipated lifespan when selecting a Gear motor that will meet the exact specifications of your system. In today's fast paced plant operations, any abrupt stoppages of production or prolonged shutdowns are costly! A detailed Preventive Maintenance Program is the most effective way to reduce cost and downtime. If you choose to provide your own in-house preventive maintenance program, consider all the necessary tooling needed to maintain peak production. Also, quality maintenance personnel are mandatory to correct any maintenance issues that should arise. Hiring a third party to handle your maintenance concerns is another excellent way to keep control over your maintenance issues. A Maintenance Handbook detailing scheduled reviews of your equipment, repair procedures, etc., is another important factor in maintaining optimum production performance. Prolonging the Life of Your Motor. Lubrication: Always lubricate each motor regularly as per the manufacturer's instructions. Keep an eye on sleeve-bearings and any other lubricated components, making sure all oil reserves are filled and in a good working conditions all the time. Lubrication rules may change from time to time if you are operating in a very poor environment. Make sure you re-apply or add clean oil to machinery, per the manufacturer’s recommendations. Never apply too much grease or oil that might result in damaging a motor’s windings or possibly deteriorate a motor’s insulation. It is also wise to use a lubricant recommended by the manufacturer. However, you may choose to use some of the latest high quality lubricants on the market. Motors usually fail because of damaged bearings. There are a variety of different conditions that lead to bearing failure. Among the commonest are incorrect lubrication, unaligned loads, wrong bearing replacements, overloading the motor and operating the motor in overly harsh environments. Critical production motors, or those that are subjected to heavy loads, should be checked for performance issues on a daily basis. Maintenance personnel can insure equipment reliability using a stethoscope or an infrared scanner. Electronic devices that check both ambient temperature and the machinery’s internal temperature are other ways to decrease downtime. Perform air gap checks between the Rotor and the Stator. You can do this using Feeler gauges once per year. If you notice any varying measurements from one year to another, it is an indication that you may have a bearing problem. Take a look at the tension of each belt. Normally, there should be a play of about one inch in the belt. Sheaves, on the other hand, should show very little or no-play, at all. Couplings need to be firmly fitted to each production tool or line. If you suspect any problems, perform some checks to make sure that there is perfect alignment between the load and the motor’s couplings. Check Brushes and Commutators to make sure there isn't excessive wear. Brushes should be of the right type, hardness, and should firmly fit in the brush holders. Brushes should also have the right conductivity to guarantee current flows through sufficiently. The Brush Holder Spring is another important component. A small scale can be used to make sure that there is enough pressure within the spring. A correct reading should be between 2 to 2.5 pounds per square inch of the cross-sectional area of the Brush. If you experience consistent Brush chatter, Brushes that wear out too quickly, or signs of any sparking, contact the manufacturer. Make sure the mounting bolts and steel base plates are in perfect condition. Concrete bases should also be intact and free from spalling or cracking. Although you may not always be able to detect excessive vibration without the correct instrumentation, neglecting daily visual inspections may lead to a motor’s premature deterioration. Excessive vibration can cause bearings or windings to fail, or metal fatigue of your motor’s other component parts. In most cases, undue vibration in motors is caused by different mechanical conditions in the motor. These include too much tension in the belt, damaged ball or sleeve bearings, misalignment between the load and the shaft, or imbalanced mounting of the motor. The most common cause among these many vibration issues is an imbalance regarding any rotating components such as the Rotor, the load itself, or possibly the drivetrain. To test whether there is excessive vibration, remove the load and the belts, and run the motor in an effort to isolate the vibration. Electrical causes should not be ruled out as they are sometime the cause. You can perform field vibration analysis using special portable instruments that can detect vibrations and display their characteristics such as amplitude and frequency. Restricted air passageways lead to motor damage as reduced air flow will work the motor at higher than normal temperature. The most common culprits that block air flow include dust, dirt, snow, grass, weeds, and chemicals that tend to clog an open frame motor’s ventilation openings. The motor should always be clean and cool. Keep dirt out of the motors’ operating environment and blow away any materials that might get into the motor using dry air compresses at about 50 lbs. Although Drip Proof and totally enclosed, fan cooled motors come with some protection, they still shouldn’t be operated in locations where there is limited airflow and high ambient temperatures. If you need to use a motor in a location where the temperature is unusually high, go for an energy efficient motor as an alternate. Energy efficient motors maintain a much cooler temperature than standard motors. All critical motors should be removed and opened for complete inspections during summer shutdowns. Use this time to test motors, their bearings, couplings, and perform a thorough reconditioning, if necessary. Always maintain accurate records of you motors. You should conduct insulation-resistance tests every year. For the most critical motors, there should be a complete visual check-up performed frequently, as well as, voltage and current tests. All results should be recorded and analyzed from year to year to maintain production reliability. Motors that are installed in very poor environments, should be visually inspected and cleaned in accordance with your Maintenance Handbook. Blow-out any dirt thoroughly to maintain a dirt-free environment. Motors housed in what would be considered a normal and safe environment, should be reconditioned per your company’s Maintenance Handbook. It is important to keep high voltage wires free from dust. Dust particles are often conductors of electricity. Gathered dust might create unintended short circuits in the system that might damage your motor's windings. Moving parts must be free to operate without too much friction. Testing Relays to see if they are moving freely is good preventive maintenance. There should be no sticking or binding. Check if there are any loose pins, bolts, nuts, or bearings in the system. The controls should also be kept clean by blowing or wiping. Conduct checks on all contacts to make sure none are pitting or showing any signs of overheating. Overheating problems can be seen by discolored metal, burnt insulation, or the presence of burning smells. There should be adequate pressure in the Contacts and should be equal on all the poles. Make sure there are no frayed flexible leads, as well. Alternating Current (AC): The power supplied from AC Generators. It is transmitted either in single or three phase. AC current alternates direction about 50 times per second. AC Motors: An AC motor is a motor that runs on AC current. There are basically two types of AC motors: Synchronous and Induction motors. Air Gap: The air gap is the space allowance between the Rotor and the Stator. Attitude: The Attitude refers to the height in meters or feet above sea level. According to NEMA requirements, standard motors should not be operated at altitudes higher than 3,300 feet. That is because as you go higher the air becomes too light to cool the motor and this might result in overheating and the possibility of a fire. Armature: The part of a DC motor that comprises the magnetic part which spins. Armature Reaction: The Armature reaction is the effect where the Armature’s coils of a DC motor produce magnetic flux due to the current flowing through them. This flux has the effect of reducing the motor's torque capacity. Axial Thrust: This is the load that the shaft of a motor has to endure. The force runs parallel to the shaft as seen in fans or pumps. Back End of a Motor: This is the part of the motor where the coupling of a Driving Pulley is fitted. Bearings: These are the components in a motor that act as a point of contact between the fixed part, which is the Stator, and the rotating part which is the Rotor. Their function is to reduce friction of the spinning parts. Although there are many types of Bearings such as Sleeve, Needle, Ball and Roller, the Ball Bearing is the most widely used in electric motors. Ball bearings can also be divided into several groups such as open and sealed. Bearing Life: This can be expressed in two ways. There is the rating life, which is the number of hours or revolutions that Bearings will be able to endure before 90 percent of them fail; and the median life which is the number of hours a set of Bearings are able to endure before 50 percent of them fail. Brakes: Brakes are additional components that are used to bring a spinning motor to a standstill. Braking Torque: This is the amount of torque necessary to bring a spinning motor to a halt. Brush: This is a component that allows electricity to pass from the power supply to the windings of the motor without slowing the Armature down. Brushes are usually made of carbon or graphite and are designed to only touch the Commutator without exerting much force. Canopy: This is also called the Drip Cover. It’s used to protect motors that have been positioned in a vertical orientation from fluids or solid particles that might get into the motor. Capacitor: A Capacitor is a device used in AC circuitry to make the current fluctuations happen faster than those of the voltage. This means that the current will peak ahead of voltage. This is due to the Capacitor’s ability to store and release electric energy. Capacitor Motor: This is a motor of the single phase type that has a main winding connected directly to the main power supply, and a capacitor in the auxiliary winding circuitry. Capacitor Start: This is a single-phase motor that is much like the Split-Phase Start motor. However, the Capacitor Start comes with a Capacitor in the start windings. This allows the motor to start with a high torque using much less power. Just like the Split-Phase motor, the Capacitor motor can be reversed so long it is at rest. If the motor is to be reversed while running, special switches are needed. Centrifugal Cutout Switch: A Centrifugal Cutout Switch is a motor’s component that is used to open or close a single-phase motor’s circuitry. It connects the circuit whenever the motor reaches a predetermined rotary speed, or cuts-out whenever it drops below the same. By so doing, it prevents the motor from overheating. Clutch: This is a mechanical device used to engage or disengage a rotating motor. It is mainly used whenever a motor needs to be stopped and started repeatedly in a single operation. Conductor: A Conductor is simply a material or substance that allow electricity to flow freely. This means the material has a low resistance to electricity. A good example is Copper. Conduit Box: This is a metal box that contains the leads from the Stator winding of a motor. It is in this box that the leads are connected to wires that connect to the power supply. Normally, the conduit box is found at the side of the motor. Cogging: This refers to the irregular rotation of a motor either due to jerks or rapid speed increments instead of a smooth spin. Commutator: A commutator is a motor component that is attached to the shaft. It is composed of several sloped segments attached around a shaft in a circular array. They are insulated from the shaft itself and from each other. This is the part which the brushes of the motor touch softly, thereby giving a frictionless electrical contact to complete the circuitry. 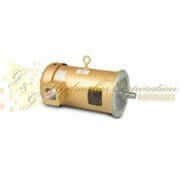 Compound Wound DC Motors: These are motors that come with both a series and shunt field winding. They are usually utilized in applications where a heavy starting torque is needed but without the need for speed regulation. Constant HP: Refers to motors that generate the same amount of horsepower regardless of the speed they are turning at, or the load they are bearing. Core: This is the iron part of both the Stator and Rotor. They are laid out in a concentric pattern, and those in the Rotor are separated from those in the Stator by the air gap. Counter Electromotive Force: As Conductors pass through magnetic flux, they tend to produce an electric current. This current flows against the current in the Armature and tends to decrease it. Couplings: This is the part of a motor that connects the Shaft to whatever device the motor is meant to be attached to for usage. Current: Current is the rate of the flow of electric charge in a circuit. Cycles Per Second: This refers to the number of times alternating current reverses in a second and is normally called Hertz in most countries. AC supplied from the International Power Grid comes at 50 Hertz and in the United States at 60 Hertz. D-Flange: This is part of the motor’s Casing through which bolts are run through the flange. It is used to attach motors to Gear Boxes and other devices. DC: This is short for Direct Current and refers to current that moves in only one direction as opposed to that of AC Current which reverses its direction about 50 times per second. DC Motor: This is a motor that runs on DC power. Such motors are usually used when the operation calls for adjustable speed. Drip-Proof Guarded: This refers to any machine that comes with air vents whose openings are designed in such a way that drops of liquid, or any foreign particles that fall on the machine at angles not exceeding 15 degrees, do not get inside whether directly, or by falling on the surface thereby dripping inside. Dual Torque: These are motors that generate variable torque as the speed changes. The horsepower, however, remains constant. Definite Purpose Motor: These are motors that are designed for specific purposes. They meet standard requirements but come with unique mechanical features that make them usable for only specific applications. Dual Voltage: Dual Voltage Motors are able to run on two different voltages. Dynamometer: This is a device that uses loads of known magnitude to measure the torque and speed of a motor. They can be used to measure a motor's efficiency. Eddy Currents: Eddy currents are induced when the iron core of a motor cuts through a magnetic flux and may result in energy losses when electric energy is turned into heat. Motor designers aim to minimize these currents as much as possible. Efficiency: Whenever a motor receives electricity, not all of it is turned into rotational energy. The ratio of the input power to the rotational energy of the motor is called ‘its efficiency’. In other words, the term ‘efficiency’ refers to how effective a motor is at converting electrical power into mechanical energy. Electrical Degree: This is a measurement that refers to time when applied to AC. There are 360 electrical degrees in a single cycle. A cycle is defined as the complete rotation from one pole to the next one that has the same polarity. Electrical Time Constant: This is a term that is applied to DC motors. It means the proportion of electrical inductance to the resistance of the armature. Electrical Unbalance: Electrical unbalance is a situation where the three phases in an alternating current system are of different magnitudes. This is expressed as % of unbalance. Electromotive Force (EMF): EMF is another reference to voltage. Encapsulated Winding: This is a method of protecting a motor from severe weather conditions. With this method, an insulting material, in most cases epoxy, is applied to the windings of the motor covering it completely. Enclosures: This is the Casing that houses a motor. There are two general types; opened and closed. These can further be divided into additional classes to include; Open, totally closed, drip-proof ventilated, splash proof-fan-cooled, weather protected explosion proof, weather protected heat exchanger, etc. End Shield: This component is also referred to as an End-Bell or End-Bracket. It is used to support the Bearings and offers protection to the electrical and rotating systems within the motor. Explosion Proof Enclosure: An explosion proof enclosure protects most motors that are used in hazardous locations from causing electrical damage to the motor itself, or the surrounding environment. Explosion proof enclosures allow the motor to limit any ignitions of gases within the motor, and prevents surrounding flammable gases from catching fire. Explosion-Proof- Hazardous Location: There are different types of hazardous locations. These include; Division I, which are locations that has have a high concentration of ignitable material surrounding the motor and Division II, which are locations that have a high concentration of ignitable substances in closed systems and would not be in contact with the motor under normal conditions. Explosion Proof Classifications: Class I, are locations with enough gases or vapors to cause explosions when in contact with the motor; Group C, which are locations that have ethylene vapors in the atmosphere around the motor; Group D, which are locations that have vapors of gasoline, benzene, propane, benzoyl, methane, acetone, etc. Class II which are locations with ignitable dust, such as wheat powder in the atmosphere. Group E, which are locations with flammable metal dust such as aluminum or magnesium or their alloys; Group F, which are locations that have carbon, black coal, or dust in the atmosphere; and Group G which are locations with flour or ignitable grain in the atmosphere. External Ventilated: In cases where the motor fan would not be sufficient in preventing cooling, an external cooling system is used. This is used on slow speed motors whose fans would not spin fast enough to generate the necessary torrents of air. Field: This is the fixed part of a DC motor and generates the magnetic flux that allows the armature to spin. Field Weakening: Field weakening is the addition of resistance in the shunt field of a motor. This is usually done by introducing a Rheostat in series, thereby reducing the current. Flange: This is an end-shield that has special fastening slots used to mount the motor on equipment like pumps and gear boxes. They are used to attach a motor to the equipment which it is driving. Flux: The magnetic flux is a field of magnetic energy that surrounds an electrical conductor that has current flowing through it. It also refers to the magnetic field that surround a permanent magnet. In representations, the flux is shown by lines that run from one pole to the other. The denser these are, the stronger the magnet. Fractional-Horsepower Motor: This is a motor that is built with a small frame. It has an open construction and generates 1,700 to 1,800 rotations, per minute. According to NEMA specifications, fractional horsepower motors range from 42, 48 to 56 frames. Sometimes the motor might even produce more than 1 horsepower, but the size earns it the designation of FHP. Frame: This is the part of the Casing of an AC motor that offers support to the Stator’s components. Frames for DC motors usually make a part of the magnetic coil. The motor’s mounting dimension are also based on the frame. Frame Size: The frame size is a term that refers to the dimension of a motor. The frame size also indicates the specific mounting dimensions of the motor. Front End of a Motor: In some cases the front end of a motor is called the ‘opposite pulley end’. It is the end opposite to the end where the coupling or driving pulley is installed. Full-Load Current: When a motor is operating at full-load torque and full-load speed under its rated conditions such as voltage, the amount of current flowing through the circuitry is called the full-load current. Full-load Torque: In some cases, this is called the running torque. It is the torque required for a motor to generate its maximum horsepower when operating at full-load speed. Gear Motor: This is the part of a gear and motor combination that is used to reduce the motor’s speed in order to produce the required RPM’s. 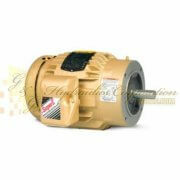 General Purpose Motor: A general purpose motor is a motor that comes with a ‘B’ design. It is designed to meet standard requirements, as specified by NEMA, and has mechanical and operational functions making it applicable for a number of purposes as opposed to a specific use. Grounded Motor: This is a motor that comes with an electrical wire running from the motor’s frame to the ground. Guarded Motor: A guarded motor is an otherwise Open motor that has all of its openings that allow access to dangerous sections of the motor like rotating parts and live wires protected by grills, screens, expanded metal, etc. This is to avoid accidents where operators or foreign objects might enter the motor and cause injury or damage to the motor. NEMA requires that such guards prevent anything with a diameter of more than half-an-inch from entering. Heat Exchanger: This is a component that is used to transmit the motor’s internal heat to the outside atmosphere. It does so using the same mechanism as a car’s Radiator. Hertz (Hz): This is the measure of the number of times AC current reverses its direction in a second. Horsepower: Horsepower is the rate at which work is done. A single horsepower is defined as the work done to lift 3,3000 lbs., in 60 seconds to a height of one-foot. Both the torque and the RPM’s of a motor are considered when coming up with a motor’s HP rating. Hysteresis Loss: Hysteresis is the characteristic of metals that tend to prevent them from being magnetized resulting in energy loss. Identification: This is a set of details that can be used to select a motor for a specific purpose. These details include the frames’ size, horsepower, speed, design and enclosure. Other parameters used to identify a motor are the voltage, frequency, number of phases (single or three phase), class of insulation and time rating. Finally, consider the application for which the motor was designed; is it general, purpose, or specific. Inductance: This is the property of an electric circuit that allows it to generate an electric current within itself or in a circuit lying within its magnetic field. Inertial Load: An inertial load is a load that causes the motor’s Shaft to rotate for longer than it normally would after it has been switched off. Inertial loads include fans, flywheels, etc. This is because such loads tend to store kinetic energy and would be detrimental for specific applications. The inertial loads do not only affect the motor after switching off. They also offer resistance when starting, and that is why a special type of motor has to be used. Insulator: An Insulator is any material that resists the passage of electricity through it. Motors, use Insulators for two main purposes; separating the different electrical components from each other and keeping contaminants from attacking electrical components. 1. Turn-to-turn insulation which separates wires from each other in a coil. 2. Phase-to-phase insulation which is applied between adjacent coils that are not in the same phase groups. 3. Phase to ground: This is insulation applied between the windings and the ground, or the motor’s metallic parts. 4. Slot wedge which is a method of holding Conductors in place within a slot. 5. Impregnation which not only binds the components together, but also provides insulation and protection from contaminants. Insulation Class: Motor insulation is classified according to the temperature range each type of motor can withstand. Since motors are subjected to different ambient temperature levels, each can have any of four classes of insulation. Intermittent Duty: Intermittent duty refers to a form of service where the motor needs to meet operational requirements that demand operation under different conditions like load and no load, load, no load and rest; and load and rest. Inverter: This is an electronic instrument that transform fixed voltage to variable frequency and voltage. It is used to adjust the speed of an Induction motor. Jackscrew: Jackscrews are motor accessories that are used to adjust the level of the motor’s frame. They are basically a type of screw which can go up and down when turned thereby changing the leveling of the motor. Kilowatt: The kilowatt is a unit of power used when referring to large quantities. It is basically equal to 1,000 watts and makes it more convenient to manipulate the unit in calculations. Laminations: Laminations are the thin sheets of steel that make up the cores of the Rotor and Stator. They are placed on top of each other and are fixed using rivets, cleats, or welds. Laminations offer the advantage of reducing eddy currents, something a solid core would not be able to do. Large Motors: Any AC motor that comes in series 5000 frames and above is called a large motor. Load: This is the amount of work the motor has to do depending on the requirements of the system the motor is driving. In most cases, the load is expressed as the torque needed to overcome the resistance offered by the machine being driven. Locked Rotor Current: Locked rotor current is the steady current present in the circuit when the Rotor is stationary. It is the same current observed when the motor is starting. Locked Rotor Torque: This is the lowest torque that a motor will generate when not spinning for all angular positions of the Rotor. Losses: When electricity goes into a motor system not all of it is converted into rotational energy. Some of it is lost as heat which raises the temperature of the internal components of the motor including the windings. This unusable energy is what is referred to as the losses. Lubrication: There is always a measurable amount of friction within the motor primarily at the Bearings. For the motor to experience the least amount of friction, grease or oil is applied at the Bearings. Magnetic Polarity: One of the most fundamental requirements of a winding is that the adjacent poles must be opposite each other’s magnetic polarity. The coils do not necessarily have to be wound in this direction but they should be connected in a way that meets this requirement. Medium Motors: Medium motors, according to NEMA specifications, are those that range from 143T to 449T frames. Megger Test: This is a method of testing the electrical resistance of an Insulation System. It is done by streaming electricity at very high voltage and low current through the windings of the motor, then measuring the resistance of the insulation in megaohms. Motor: A device that converts electrical energy into rotational energy using the interaction of electric currents and magnetics fields. Multi-Speed Motor: A motor that is wound in a manner that allows different connections at the Starter that can alter the speed of the motor depending on predetermined speed levels. The most widely used multi-speed motor is a dual-speed motor. Nameplate: The nameplate is a label that is found on the outside of the motor on which are engraved all the details of the motor; such as horsepower, speed, efficiency, frame size, and other details. NEMA: This is an acronym that stands for National Electrical Manufacturers Association. It is a nonprofit organization whose operations are funded by manufacturers and suppliers of electrical equipment. Oil Mist Lubrication-Dry Sump: This is a method of lubrication where oil is applied as mist in a stream of air and is applied to anti-friction bearings. Oil Mist Lubrication-Wet Sump: This is similar to an oil mist lubrication using a pool of oil that is accumulated within the Bearing Chamber. This accumulated oil continues to provide lubrication to the bearings. Open Bearings: This is a Bearing that does not come with a shield seal or guard on either side of the Bearing’s Casing. Open Motor: A motor that receives ventilating air around its winding from the outside. Paralleling: This is the use of two or more direct current motors to cover a common load. The motors are connected in series and positioned to split the load equally amongst themselves. The motors must have the same ratings like torque, frequency, voltage, etc. Part Winding Start Motor: This is a method of starting a motor with less current than normal. It also results in lessening of the starting torque. This is done by applying electricity only to a portion of the primary winding. Permanent Magnet Synchronous Motor: This is a motor that comes with permanent magnets within its Rotor Assembly allowing the Rotor to rotate in synchronicity with the Stator’s rotating magnetic field. This particular characteristic enables the motor to have zero slippage and rotates at a constant speed no matter the load. These motors have a high torque, efficiency and they use less current. Plug Reversal: Plug reversal is a method of braking a spinning motor. It involves switching the motor’s winding connections in order to generate a reverse torque against the motors normal rotational direction. Plug reversal is among the most effective braking methods although it results in substantial heat, making it a risky braking option. Poles: When referring to an AC motor, the term means the number of magnetic poles that are in the Stator’s windings. The motor's speed is determined by the number of poles. Power Code: This is a method of identifying the nature of power supplied to a DC motor. It includes frequency, voltage and the Rectifier that is used. Power Factor: This is the value in the time difference between voltage and current fluctuations in an alternating current circuit. Primary Winding: The primary winding is the part of a motor to which the leads of electricity are directly connected. In an Induction motor, the primary winding is found in the Stator. Protective Relay: This is a type of Relay that is used to offer continuous uninterrupted service, or to prevent electronic devices from getting extensively damaged. Pull-In Torque: The maximum constant torque that a Synchronous Induction motor is capable of achieving at its rated voltage and frequency. Pull-Up Torque: This is the minimum torque generated by an AC motor from when it is at rest, to its maximum speed, at which breakdown occurs. Random Wound: This is the most widely used form of winding in motors that operate under 1,000 volts. The coils are not wound in any particular order but are randomly wound using round wires. Resistance Thermal Detector: This is a resistance device that is used to detect fluctuations in heat within the motor’s winding in order to spot overheating. The detectors are inserted into the winding slot, and as the temperature changes, their resistance changes, as well. Reactance (Inductive): This is the tendency of a coil in an alternating current circuit to delay the voltage peak, while the current peaks faster in time phase. Relay: A device which responds to changes within a circuit to affect other devices sharing the same or a different electric circuit. Reluctance: This the quality of a material that tends to prevent the flow of magnetic force through it. Reluctance Synchronous Motor: This is a Synchronous motor that comes with a unique Rotor design that allows it to spin in sync with the Stator’s rotating magnetic field. This enables the motor to rotate with no slippage. 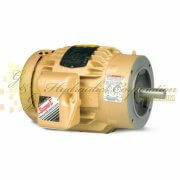 These motors are high efficiency and high torque. Resistance: The resistance of a material is its ability to resist the flow of electric current. It is measured in ohms using an Ohmmeter. Resilient Mounting: This is a type of motor mounting where cushioning is provided to reduce the effect of the motors noise and vibrations on the mounting surface. Reversing: This is the switching of electric poles in order to change the direction of a direct current motor. This can either be accomplished by changing the poles in the field, or in the Armature. Changing the poles of the Armature is a much faster option and is used when quick reversing is needed. Roller Bearing: These are Bearings that are cylindrical in nature and are designed to handle belted applications such as Conveyor Belts. Such applications would be too large for ball bearings. Rotating Magnetic Field: The rotating magnetic field is the magnetic force that is generating in the stator of an AC motor. Rotor: This is the spinning part of a motor. Screens: Protective Covers that are placed over ventilation openings. These Covers have small spaces that allow air to pass freely without allowing foreign materials or even small animals to enter. Secondary Winding: This is winding that is not connected to the main power source that has an induced current flowing through it as it cuts through the magnetic field of the primary winding. Series DC Winding: The series DC winding is a motor winding that is applied in cases where a DC motor needs to generate a high starting torque. The load has to be firmly connected to the motor’s coupling and should never drop to zero, to prevent the motor from generating excessive speed. Such motors are applied to hoists, cranes, etc. Service Factor: The service factor indicates how much more load a motor can carry than what is specified on the nameplate without damaging the motor. Service factor also refers to the conditions that cannot be quantified but still affect how the motor handles a load. Short- Circuit: A situation where wires in a winding touch leading to the bypassing of a part of the winding. This leads to overheating which results in the burning of the winding. Shaft: This is the part of a motor that extends beyond the bearings. It is the part to which the system being driven by the motor is attached. Skew: This is a type of arrangement where laminations placed in the Rotor or Armature are laid at an angle to reduce low speed noise and vibrations. This arrangement can also reduce the starting torque. Sleeve Bearings: Sleeve Bearings are Bearings that have no rotating elements. Thy instead rely on a film of oil on which the shaft rotates. Slip: This is the difference between the speed at which the Stator's magnetic field and the Rotor spins. This is found in non-Synchronous motors and it goes up as the torque increases. Space Heaters: These are devices that are installed inside a motor and are switched on when the motor is not working, to prevent the buildup of condensation within the motor’s body; especially on the windings where it would be detrimental. Special Purpose Motor: Special Purpose motors are those designed with special characteristics such as speed, torque, and physical characteristics that are meant to be used for specific applications. Splash-Proof Motors: A splash-Proof motor has its ventilation openings constructed in such a way that any liquids falling on it at angles of not more than 100 degrees from the vertical axis cannot enter. Speed: The speed of a motor is the number of revolutions per minute (RPM’s) of the shaft. Stabilized Shunt-Wound Motor: A stabilized Shunt-Wound motor runs on direct current and has its shunt field either connected with the Armature in parallel, or to a separate source of power. There is also is also a minor winding that is connected, in series, to prevent surges in speed and reduce the speed slightly should the load go up. Starting Current: This is the amount of current that a motor requires in order to start. It is normally much higher than the running current. Starting Torque: This is the amount of twisting force that a motor generates the moment it is switched on. It is often many times higher than the running torque. Stator: This is the part of the motor that produces a magnetic field by means of direct connection to the main power supply. Stators are composed of fixed components and made of circular lamination that leave a hollow space in the center to house the Rotor. Stress Cones: Stress cones are a way of externally protecting the point at which high voltage wire leads connect to the motor. Their function is to prevent the dielectric damage of motor leads. If they are to be used, the Conduit Box has to be significantly larger than normal. Surge Protection: This a type of Capacitor that limits the voltage flowing to the motor in times of surges due to either lightning or a power supply surge. Sometimes the surge can be as high as twice the normal voltage and this leads to the frying of the windings. Synchronous Motor: This is a motor that has the Rotor rotating at the same speed as the rotating magnetic flux in the Stator. This allows Synchronous motors to rotate at a constant speed no matter the load, so long it is within the motor's load limits. Synchronous Speed: An Induction motor has a rotating magnetic flux. The speed at which this flux rotates is what is called the synchronous speed. When the Rotor locks to this rotating magnetic field, it is able to spin at the same rate and can maintain the speed no matter the load. “T” Frame: This refers to NEMA’s designation that has been assigned to alternating current Induction motor frames. Tachometer: This is a small electricity generator. It used to measure the rotation speed of an Inverter motor which can either be AC or DC. The tool is attached to the Shaft where they spin as the motor turns. It is important to note that for every 10 degrees above the recommended operating temperature, the motor insulation loses half its life. Temperature Rise: Temperature rise refers to the effect that a heated motor has on the ambient room temperature. The temperature of each of the parts of a motor heat-up due to electrical energy losses. These have a much higher temperature than the surrounding ambient air. As a result, the air temperature rises. different parts of a motor. alert operators to any rise in temperature. Thermocouple-Thermal Detection Device: A Thermocouple is an instrument that detects changes in temperature. It is built with two different metals and generates a voltage whenever there is a change in temperature. These devices can be attached to alarms to detect overheating. Thermostat: This is a component that responds to rising temperature and breaks the circuit when the motor overheats up to a certain limit. It can also switch on when there is a drop in temperature up to preset limits. Torque: This is the turning force generated by a motor. Totally Enclosed Enclosure: This is a type of Casing that is not completely air-tight, but still prevents air from freely flowing from the outside to the inside of the motor. Vacuum Degassed Bearings: These are Bearings made from metal that have undergone a purification method called vacuum degassing. This produces metals with high density extending the life of the Bearings. Variable Torque: Motors with multi-speed that are used on loads that have different torque requirements. This is seen in centrifugal Pumps and Blowers. Vertical Motor: These are motors that have been designed to be mounted vertically, with the Shaft either pointing up or down. 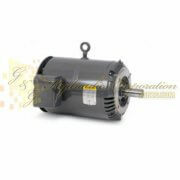 Vertical P-Base Motor: This is a motor that is mounted vertically and comes with a ring-groove on the shaft. Find the largest selection of motors to meet your needs. You can choose the small 1HP motors that’re ideal for the lighter applications, to the more powerful 5HP options that are more suited to the more demanding jobs. With tough neoprene gaskets, double sealed bearings, a stainless steel shaft extension, and electrostatically applied epoxy finish, these motors will give you years of reliable service. VEM3557T Baldor Three Phase, Totally Enclosed, C-Face, Footless 1 1/2HP, 1165RPM, 145TC Frame UPC #7..
VEM3557 Baldor Three Phase, Totally Enclosed, C-Face, Footless 1 1/2HP, 1165RPM, 56C Frame UPC #7815..
VEM3556T Baldor Three Phase, Totally Enclosed, C-Face, Footless 1HP, 1155RPM, 145TC Frame UPC #78156..
VEM3556 Baldor Three Phase, Totally Enclosed, C-Face, Footless 1HP, 1155RPM, 56C Frame, N UPC #78156..
VEM3555T Baldor Three Phase, Totally Enclosed, C-Face, Footless 2HP, 3490RPM, 143TC Frame UPC #78156..
VEM3555-5 Baldor Three Phase, Totally Enclosed, C-Face, Footless 2HP, 3490RPM, 56C Frame, N UPC #781..
VEM3555 Baldor Three Phase, Totally Enclosed, C-Face, Footless 2HP, 3490RPM, 56C Frame, N UPC #78156..
VEM3554T-5 Baldor Three Phase, Totally Enclosed, C-Face, Footless 1 1/2HP, 1760RPM, 145TC Frame UPC ..
VEM3554T Baldor Three Phase, Totally Enclosed, C-Face, Footless 1 1/2HP, 1760RPM, 145TC Frame UPC #7..
VEM3554-5 Baldor Three Phase, Totally Enclosed, C-Face, Footless 1 1/2HP, 1760RPM, 56C Frame UPC #78..
VEM3554 Baldor Three Phase, Totally Enclosed, C-Face, Footless 1 1/2HP, 1760RPM, 56C Frame UPC #7815..
VEM3550T-5 Baldor Three Phase, Totally Enclosed, C-Face, Footless 1 1/2HP, 3500RPM, 143TC Frame UPC ..
VEM3550T Baldor Three Phase, Totally Enclosed, C-Face, Footless 1 1/2HP, 3500RPM, 143TC Frame UPC #7..
VEM3550-5 Baldor Three Phase, Totally Enclosed, C-Face, Footless 1 1/2HP, 3500RPM, 56C Frame UPC #78..
VEM3550 Baldor Three Phase, Totally Enclosed, C-Face, Footless 1 1/2HP, 3480RPM, 56C Frame UPC #7815..
VEM3546T-5 Baldor Three Phase, Totally Enclosed, C-Face, Footless 1HP, 1760RPM, 143TC Frame UPC #781..
VEM3546T Baldor Three Phase, Totally Enclosed, C-Face, Footless 1HP, 1760RPM, 143TC Frame UPC #78156..
VEM3546-5 Baldor Three Phase, Totally Enclosed, C-Face, Footless 1HP, 1760RPM, 56C Frame, N UPC #781..
VEM3546 Baldor Three Phase, Totally Enclosed, C-Face, Footless 1HP, 1760RPM, 56C Frame, N UPC #78156..
VEM3545-5 Baldor Three Phase, Totally Enclosed, C-Face, Footless 1HP, 3450RPM, 56C Frame, N UPC #781..
VEM3545 Baldor Three Phase, Totally Enclosed, C-Face, Footless 1HP, 3450RPM, 143TC Frame, N UPC #781..
VEM3542 Baldor Three Phase, Totally Enclosed, C-Face, Footless 3/4HP, 1750RPM, 56C Frame UPC #781568..
VEM3538 Baldor Three Phase, Totally Enclosed, C-Face, Footless 1/2HP, 1735RPM, 56C Frame UPC #781568..
VEM3314T Baldor Three Phase, Open Drip Proof, C-Face, Footless 15HP, 3475RPM, 215TC Frame UPC #78156..
VEM3313T Baldor Three Phase, Open Drip Proof, C-Face, Footless 10HP, 1770RPM, 215TC Frame UPC #78156..
VEM3312T Baldor Three Phase, Open Drip Proof, C-Face, Footless 10HP, 3475RPM, 213TC Frame UPC #78156..
VEM3311T Baldor Three Phase, Open Drip Proof, C-Face, Footless 7 1/2HP, 1770RPM, 213TC Frame UPC #78..
VEM3309T Baldor Three Phase, Open Drip Proof, C-Face, Footless 5HP, 1160RPM, 215TC Frame UPC #781568..
VEM3305T Baldor Three Phase, Open Drip Proof, C-Face, Footless 3HP, 1165RPM, 213TC Frame UPC #781568..
VEM3219T Baldor Three Phase, Open Drip Proof, C-Face, Footless 7 1/2HP, 3450RPM, 184TC Frame UPC #78..
VEM3218T Baldor Three Phase, Open Drip Proof, C-Face, Footless 5HP, 1750RPM, 184TC Frame UPC #781568..
VEM3215T Baldor Three Phase, Open Drip Proof, C-Face, Footless 2HP, 1165RPM, 184TC Frame UPC #781568..
VEM3212T Baldor Three Phase, Open Drip Proof, C-Face, Footless 5HP, 3450RPM, 182TC Frame UPC #781568..
VEM3211T Baldor Three Phase, Open Drip Proof, C-Face, Footless 3HP, 1765RPM, 182TC Frame UPC #781568..
VEM3161T Baldor Three Phase, Open Drip Proof, C-Face, Footless 3HP, 1765RPM, 145TC Frame UPC #781568..
VEM3159T Baldor Three Phase, Open Drip Proof, C-Face, Footless 1 1/2HP, 1170RPM, 145TC Frame UPC #78..
VEM3158T Baldor Three Phase, Open Drip Proof, C-Face, Footless 3HP, 3450RPM, 145TC Frame UPC #781568..
VEM3157T Baldor Three Phase, Open Drip Proof, C-Face, Footless 2HP, 1750RPM, 145TC Frame UPC #781568..
VEM3156T Baldor Three Phase, Open Drip Proof, C-Face, Footless 1HP, 1155RPM, 145TC Frame UPC #781568..
VEM3155T Baldor Three Phase, Open Drip Proof, C-Face, Footless 2HP, 3450RPM, 143TC Frame UPC #781568..
VEM3154T Baldor Three Phase, Open Drip Proof, C-Face, Footless 1 1/2HP, 1755RPM, 145TC Frame UPC #78..
VEM3120T Baldor Three Phase, Open Drip Proof, C-Face, Footless 1 1/2HP, 3490RPM, 143TC Frame UPC #78..
VEM3116T Baldor Three Phase, Open Drip Proof, C-Face, Footless 1HP, 1760RPM, 143TC Frame UPC #781568..
VEM31158 Baldor Three Phase, Open Drip Proof, C-Face, Footless 3HP, 3450RPM, 56C Frame, N UPC #78156..
VEM31157 Baldor Three Phase, Open Drip Proof, C-Face, Footless 2HP, 1750RPM, 56C Frame, N UPC #78156..
VEM31155 Baldor Three Phase, Open Drip Proof, C-Face, Footless 2HP, 3450RPM, 56C Frame, N UPC #78156..
VEM31154 Baldor Three Phase, Open Drip Proof, C-Face, Footless 1 1/2HP, 1760RPM, 56C Frame UPC #7815..
VEM31153 Baldor Three Phase, Open Drip Proof, C-Face, Footless 3/4HP, 1160RPM, 56C Frame UPC #781568..
VEM31120 Baldor Three Phase, Open Drip Proof, C-Face, Footless 1 1/2HP, 3490RPM, 56C Frame UPC #7815..
VEM31116 Baldor Three Phase, Open Drip Proof, C-Face, Footless 1HP, 1750RPM, 56C Frame, N UPC #78156..
VEM31115 Baldor Three Phase, Open Drip Proof, C-Face, Footless 1HP, 3450RPM, 56C Frame, N UPC #78156..
VEM31112 Baldor Three Phase, Open Drip Proof, C-Face, Footless 3/4HP, 1730RPM, 56C Frame UPC #781568..
VEM31111 Baldor Three Phase, Open Drip Proof, C-Face, Footless 3/4HP, 3450RPM, 56C Frame UPC #781568..
VEM31109 Baldor Three Phase, Open Drip Proof, C-Face, Footless 1/2HP, 1140RPM, 56C Frame UPC #781568..
VEM31108 Baldor Three Phase, Open Drip Proof, C-Face, Footless 1/2HP, 1725RPM, 56C Frame UPC #781568..
VEM31107 Baldor Three Phase, Open Drip Proof, C-Face, Footless 1/2HP, 3450RPM, 56C Frame UPC #781568..
VEM31104 Baldor Three Phase, Open Drip Proof, C-Face, Footless 1/3HP, 1725RPM, 56C Frame UPC #781568..
VEM2534T Baldor Three Phase, Open Drip Proof, C-Face, Footless 30HP, 3530RPM, 284TSC Frame UPC #7815..
VEM2531T Baldor Three Phase, Open Drip Proof, C-Face, Footless 25HP, 1770RPM, 284TC Frame UPC #78156..
VEM2516T Baldor Three Phase, Open Drip Proof, C-Face, Footless 25HP, 3515RPM, 254TC Frame UPC #78156..
VEM2515T Baldor Three Phase, Open Drip Proof, C-Face, Footless 20HP, 1765RPM, 256TC Frame UPC #78156..
VEM2514T Baldor Three Phase, Open Drip Proof, C-Face, Footless 20HP, 3510RPM, 254TC Frame UPC #78156..
VEM2513T Baldor Three Phase, Open Drip Proof, C-Face, Footless 15HP, 1765RPM, 254TC Frame UPC #78156..
VEM2394T Baldor Three Phase, Totally Enclosed, C-Face, Footless 15HP, 3500RPM, 254TC Frame UPC #7815..
VEM2334T-5 Baldor Three Phase, Totally Enclosed, C-Face, Footless 20HP, 1765RPM, 256TC Frame UPC #78..
VEM2334T Baldor Three Phase, Totally Enclosed, C-Face, Footless 20HP, 1765RPM, 256TC Frame UPC #7815..
VEM2333T-5 Baldor Three Phase, Totally Enclosed, C-Face, Footless 15HP, 1765RPM, 254TC Frame UPC #78..
VEM2333T Baldor Three Phase, Totally Enclosed, C-Face, Footless 15HP, 1765RPM, 254TC Frame UPC #7815..
VEM2332T Baldor Three Phase, Totally Enclosed, C-Face, Footless 10HP, 1180RPM, 256TC Frame UPC #7815..